Honestly, I had another card I was going to have ready for today, but my daughter asked if I had a sympathy card she could send and I didn't. I don't send very many, so above is what I created. As you can see I used Flourishes Winter Blossoms. 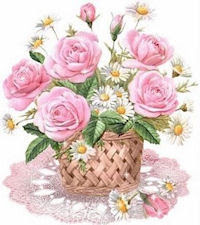 Not only did the floral images make it wonderful for this, but it even had one of the sentiments to use as you can see. Used Fancy Ribbon Threader dies to create the white laid die cuts for front and inside. Cut Base from white cardstock of 8.25"X5.25 and folded. Blue cardstock for front is 4 1/8"X 4 7/8". Mounted on front panel and trimmed extra with below off. Threaded the ribbon. Mounted the larger white laid die cut to the front panel (leaving the bottom loose to thread the ribbon). Threaded ribbon. Made bow and mounted in middle. Used die for left-hand panel as template and 1/8" magic matter for the blue mat for the white die cut. Mounted the white die cut leaving the bottom loose to thread the ribbon. Threaded and tied a flat knot. Stamped the images for front and inside twice with Memento Rich Cocoa. Water colored them, trimmed around them, embossed from the back with stylus on soft mat, mounted images to die cuts. Trimmed about flowers and mounted using 3D pop-dots. Used Spica Glitter pens Yellow and Orange for the centers of the flowers. Stamped sentiment for front on white card stock with the same ink and placed the smaller die over it to trace around it. Trimmed and placed on blue die cut. Mounted. Added 2mm pearls around the outside front and on the sentiment. Placed a 3mm heart in the center of the front sentiment. Placed a 5mm heart in the center of the inside left die cuts. Stamped the images on the envelope and right-hand bottom inside also with the Memento Rich Cocoa. Painted with twinks as shown. I still have to add a final sentiment on the inside right and my daughter will let me know about that. Hope your holidays were great and the weather kinder that it looked from here. We had in the ones temps and power outage for about 5 hours, which was nothing compared to some of you out there. Stay warm and safe my stamping friends. Thanks for stopping by to look and share. 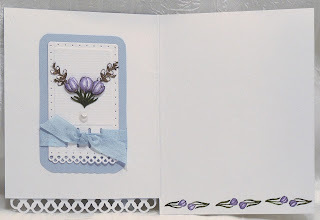 Shirley, this is a beautiful card and sentiment...love those flowers. I know your daughter appreciates it. Plus, the envelope is so pretty, too. Shirley, this is stunning! Your card is perfect...beautiful, comforting, elegant! You've colored the image so beautifully! Thanks for sharing :-) OH...love the envie too! This card is outstanding! The flowers are fabulous with all the depth and the gorgeous colouring. I love how you completed the inside to match. As a sympathy card, it is perfect, as it projects a deep caring. LOVE this! Beautiful!! Such lovely coloring of your image and the perfect sentiment, your inside is so sweet with that little image too! Stunning. Your colouring and layering is beautiful. I love how you decorate the insides of your cards and the envelope is too cute too. Fab card, Shirley! Very beautiful! You did a beautiful job on this! I love everything about it! Thank you for your lovely comment. I used a Staedtler pigment liner pen for the faux stitching. 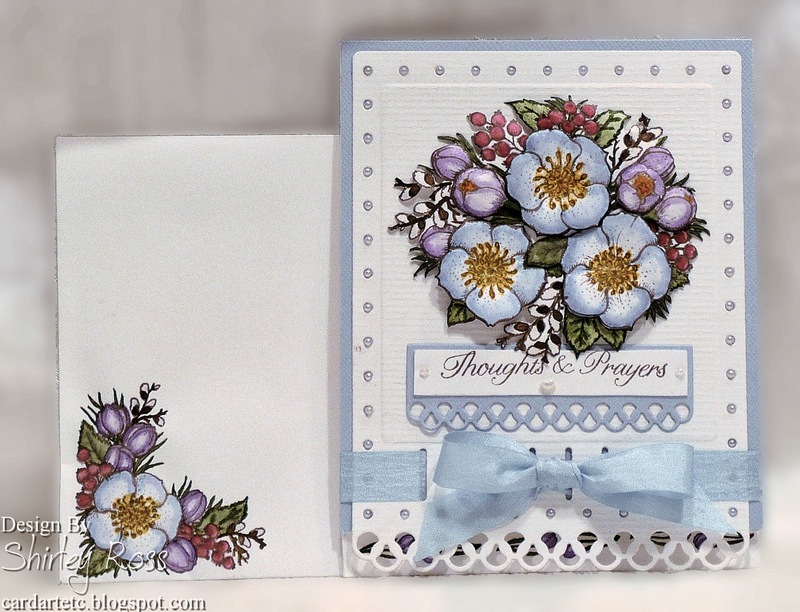 Oh, my, Shirley...what a gorgeous sympathy card!!! The image is beautiful and your coloring is absolutely stunning!!!! Love how you finished off the inside and the envie, too!!!! Oh my goodness--what a beauty! Wishing I had that Flourishes set now. Lovely sympathy card, Shirley! What beautiful flowers, Shirley! I love this die too. It adds such a delicate look. Shirley, this is so beautiful! I love the blues and the pearls on the outside. Your flower bouquet looks so perfect and pretty. And I how I see why it is useful that flourishes include the corner pieces, ect. because I just love how you used them. Love the flower border inside and the little mini panel inside is perfect too. Great work! Love it. :) Thanks for sharing. 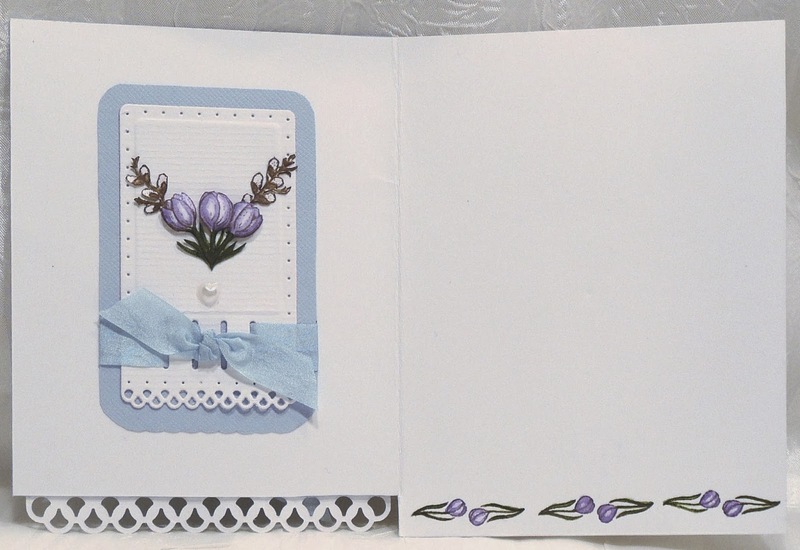 What a gorgeous sympathy card. THe recipient is sure to really appreciate it and treasure it. 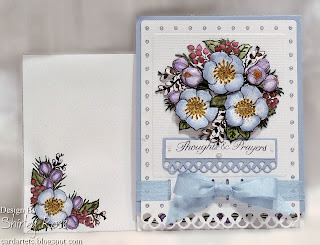 This is an absolutely BEAUTIFUL sympathy card! LOVE the muted colors! How beautiful this is. I love the soft blue color and those gorgeous flowers.